We would always have around 10 or more chicks at a time and they all fit comfortably in the tote until about 6 weeks. They will start flapping their little wings and wanting to move around by then, so if you need more time to build a coop, you can set the lid of the tote half way over the top just to perturb them from jumping out. They will tend to get creative and use their water dish and such to escape their pen, so you do need to check them throughout the day. Clean the tote at least every 3-4 days for the young chicks and as they get bigger you may need to clean it every 1-2 days. Cleanliness equals healthy chickens!! *It is a good idea to have 2 totes, this way you can keep one tote clean and ready so you not only have a place to put the chicks when cleaning their original home, but keeps the whole cleaning process from getting overly time consuming. We would always have one tote ready to go with shavings or hay, and immediately clean the dirty one and have it ready to go. It also comes in handy if you need to separate your chickens for space or health issues. Check food and water throughout the day as the chicks will eat and drink A LOT! If you see a chick that looks unresponsive or ill, remove them immediately into a separate pen! They may be sick. 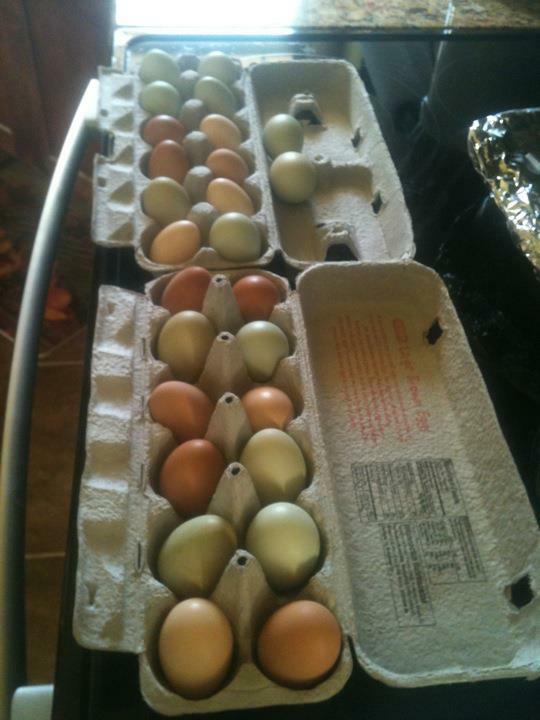 I have only had this happen to me once where I lost 2 chicks out of 15, which I ordered from a hatchery online. However, they did provide us with a few extra chicks in our order in case this happened. I think the trip may have caused them to fall ill.
Hens are called PULLETS as baby chicks and some suppliers do not know the difference between roosters and pullets before 6 weeks. So make sure who you are buying from can give you what you need, this is known as a “straight run”. (We added one rooster a year or so after raising our first batch of hens, that is for another blog though :)). 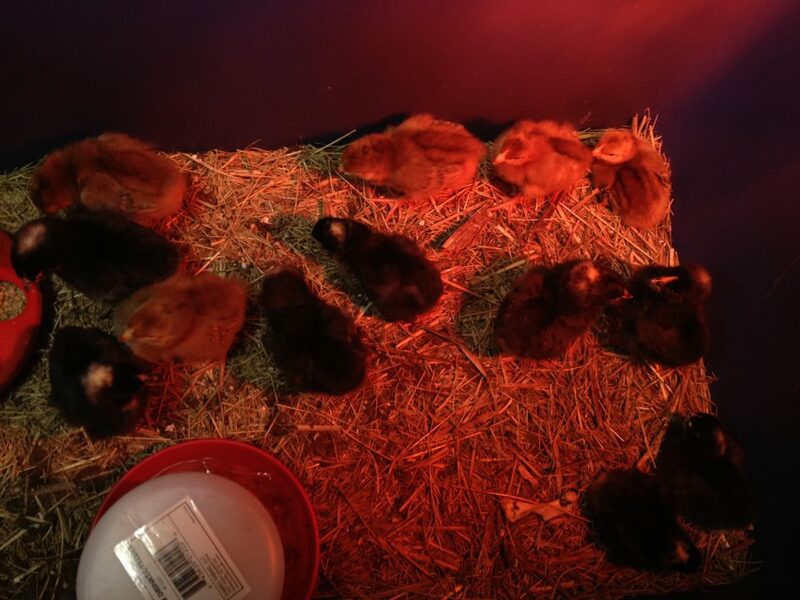 If your chicks are directly under the heat lamp and huddled together, they may be too cold. Get a larger Watt bulb or move the light closer to the chicks. ALWAYS WASH YOUR HANDS AFTER HANDLING CHICKENS! It is good practice for you and for the kids (if you have any) to always wash your hands immediately after touching, feeding, cleaning, etc. It is also a good idea to wear a mask (one of those standard over the ear elastic band type) when cleaning the pen/coops. I only use one when cleaning the big coops, but it doesn’t hurt to form good habits. It is best to have a coop ready before you even purchase your chicks, but if you are as excited as we were, you may just have the chicks and build their home before they are too big for their pen (thus the lid/space issue). Coops come in all shapes and sizes, DO NOT OVER THINK IT! We definitely did :). But that is for another blog, as we have a new coop design we want to build and share soon. Post any comments or questions!